"In the long run, I think we will evolve in computing from a mobile-first world to an AI-first world," says Google CEO Sundar Pichai. What does the appearance of AI bots and machine learning on the open market mean for business, IT, big data, and for sellers of physical hardware? What's happening to the major AI platforms? The AI APIs now opening up are essentially free platforms on which companies can build incredibly powerful analytics tools. "These hugely powerful tools, used, developed and backed by the world's most advanced technology companies, are now available to anyone with the skills to use them," says Matt Jones, Senior Analytics Project Manager at analytics and data science company Tessella. He continues: "Using these toolkits, individually or combined, anyone can integrate transformational AI or machine learning platforms – which are as sophisticated as anything currently on the market – to their business on a pay as you go, or free basis." The tech industry – and digital business in general – is on the cusp of something very big. It may have announced plans for its Google Home speaker-assistant to rival Amazon's Echo in 'smart' homes, but the search engine giant has much bigger plans for AI. Part of Google since January 2014, DeepMind's AlphaGo neural network beat mankind at the ancient Chinese game of Go recently. DeepMind is the main attraction on TensorFlow a deep learning framework that Google made open source in 2015. The existence and planned expansion of IBM's cloud-based cognitive computing platform is well known, and Big Blue offers its Watson API on a 'freemium' basis. Around 80,000 developers have accessed the Watson collection of APIs since 2013 through a dedicated cloud platform that IBM is calling 'self-service artificial intelligence'. It's designed to help coders, data scientists and analysts create apps that tap into the power of the Watson supercomputer for prediction, natural language processing, and much more. 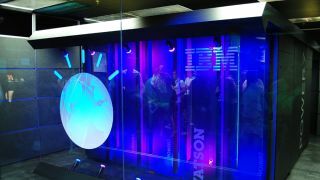 Machine learning and text analytics will also soon be on the menu from IBM's Watson Knowledge Studio. While some invest in AI, others are making acquisitions to catch up. While IBM's Watson has a new Visual Recognition API and Google's image recognition is well known, Apple recently purchased 'emotion measurement' (i.e. face recognition) company Emotient. Meanwhile, Amazon bought a deep learning neural networks startup called Orbeus, whose ReKognition API specialises in photo recognition, too. With the arrival on the cloud of high-power cognitive platforms, it's open season for app developers, who are expected to use the fruits of AI to unleash better and better apps. "IBM Watson, Google DeepMind and the like are incredibly high-power cognitive platforms that are enabling developers to do really interesting projects," says Frank Palermo, Executive Vice President of Global Digital Solutions at global IT services company VirtusaPolaris. "It's great they are now making these cognitive platforms readily accessible – particularly for researchers and others scientific pursuits, but also for knowledge workers across all industries."